I decided to launch a “how-to” podcast because I get a ton of questions about podcasting. My goal with this podcast is to let you know that even YOU can podcast. What are you waiting for? 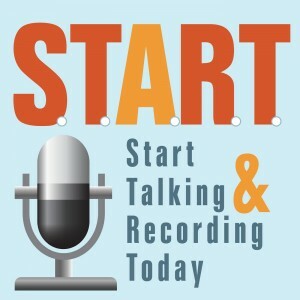 Here on START I interview podcasters from around the world to find out why they decided to START podcasting.